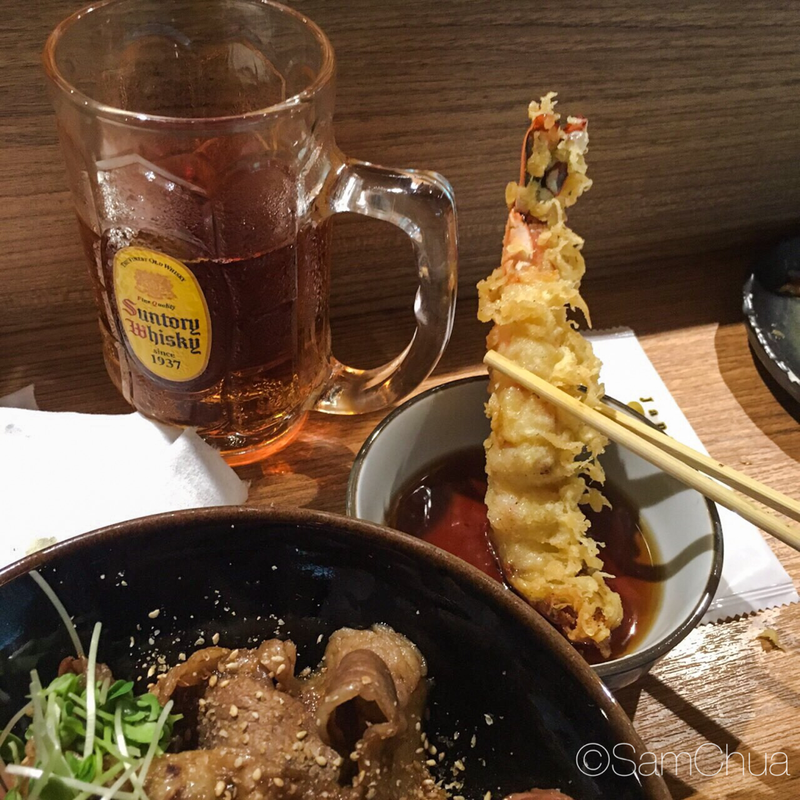 Teppei’s sister restaurant located just next door, Hana Hana which serves kushiyaki (skewers). But today, we are more interested in what Hana Hana serves their lunch crowd. I find myself here most of the time cause the queues are much longer at Teppei, essentially, they serve the same thing at lunch! All lunch sets comes with miso soup. Appetizers are placed on the elevated counter infront of you comes at no additional charge. Dishes such as fried salmon bones, stewed pork with radish, seasoned beansprouts which is replenished frequently by the friendly chefs. 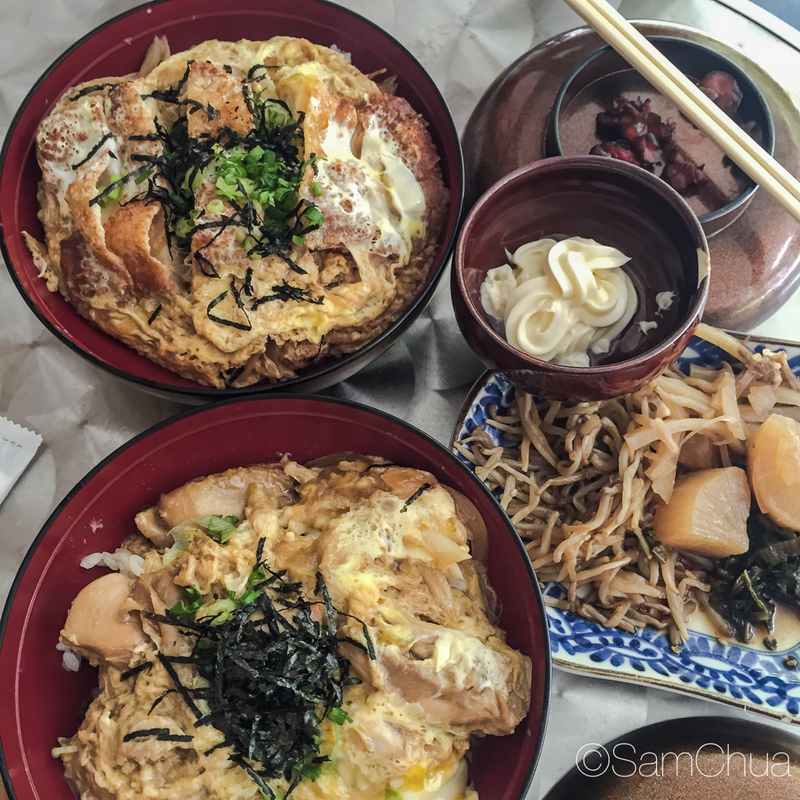 Chicken Oyako Don [$15] – One of the best in Singapore, the eggs were done perfectly with generous amount of sliced onion, rice that absorbed the chicken stock made sure that no area was left dry within the bowl. 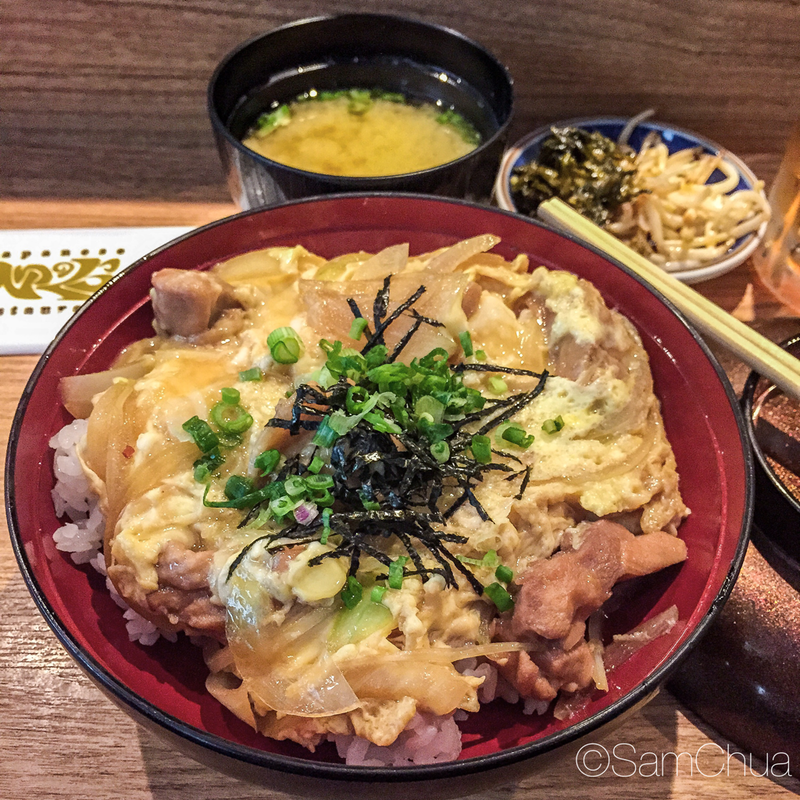 Oyakodon is chunks of chicken meat simmered in beaten eggs with savory stock eaten over cooked rice. 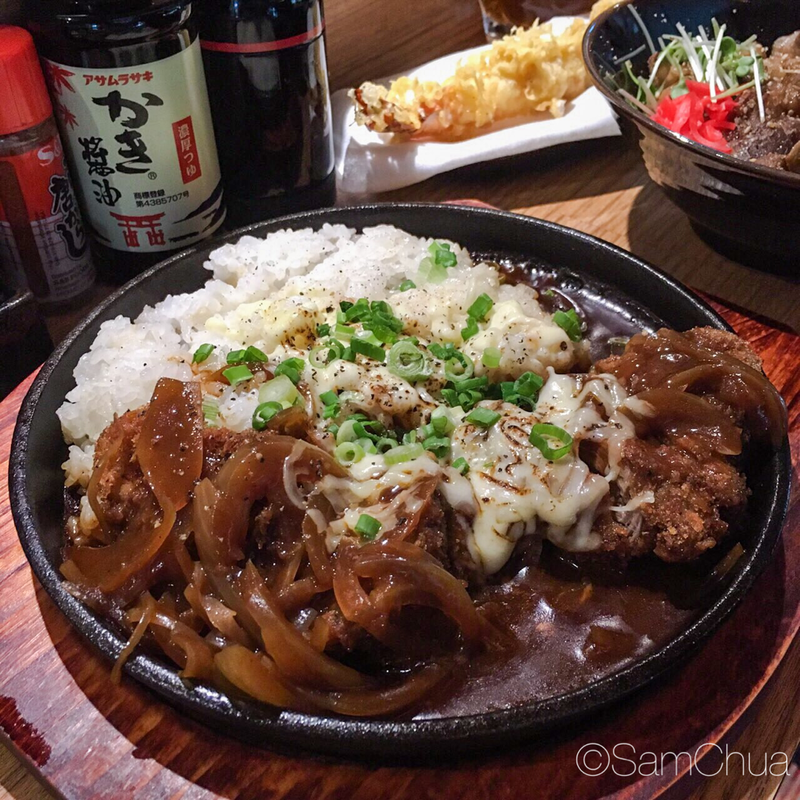 Daily Special – Beef Katsu Curry with Cheese on hotplate [$17.60] – I initially thought that I would be getting really tough to chew beef, but these were surprisingly succulent! 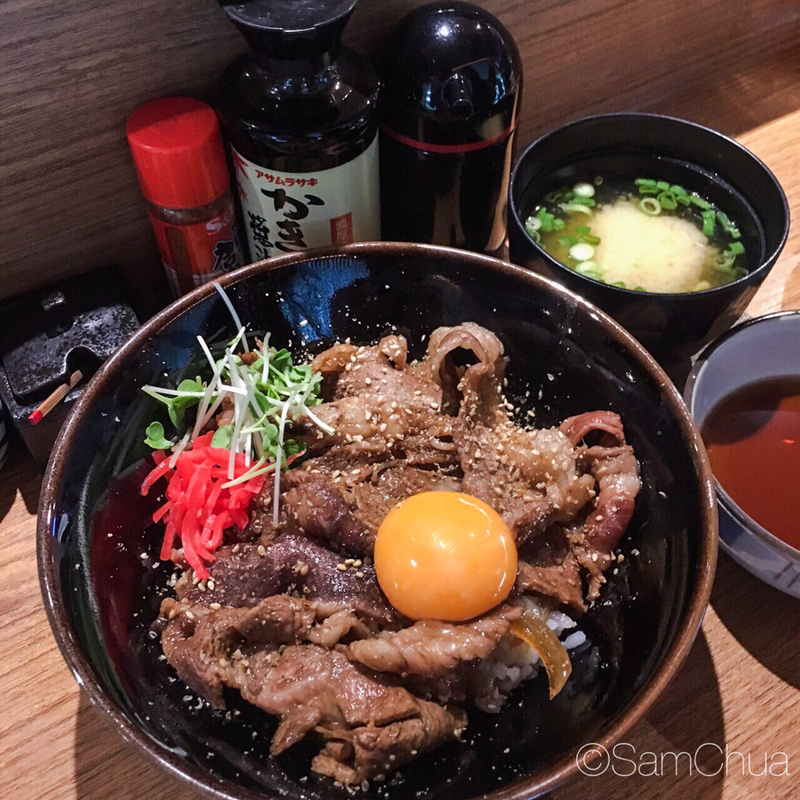 It’s tough to sometimes get juicy chicken/pork katsu at some places, so imagine that the chefs are Hana Hana were able to keep the meat tender and juicy at the same time for fried beef cutlets! Shhh…don’t share this…but they sometimes let patrons dine outdoors when the house is full. And yes, I take my Japanese food with lots of Kewpie mayonnaise. Will I Return O-Meter : Yes, most people queue at Teppei, but really they serve the same items at lunch.